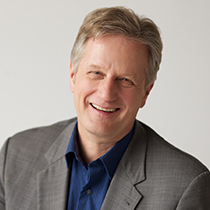 Pastor Mark Jeske reminds us why we should have patience with crying babies and fidgety children in church. On my last two plane flights I was trapped near families that were traveling with very small children. Flying is unpleasant enough these days for grown-ups, and so I am not surprised that a toddler would find the noise, cramped conditions, flight turbulence, and changing cabin air pressure very stressful and would use the ancient response of screaming to demonstrate displeasure. I was trapped. Everyone was trapped. The screeching ricocheted around the narrow walls of our flying tube. I fantasized about remedies. 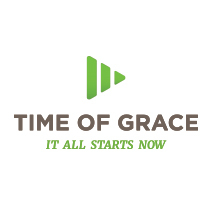 If you are a regular viewer of Time of Grace, you will occasionally hear background noise like the sirens of ambulances and fire trucks (the Palmer St. station is only a block away). You will also hear child noise from time to time. Does that bother you? Do crying children in church bother you as much as they do me on a plane? Have you ever brought your own kids to a service and gotten The Look when they made child noises? Have you ever given The Look to a parent trying to manage a little one? When I view other Christian television programs, I am amazed that every seat is filled with adults only. Obviously those organizations have opted for a different solution—staffed nursery care for newborns and toddlers, kid church for the grade-schoolers, and teen church for the teens. There is great logic to that system, and it works on many levels. A pastor can speak about adult subjects like sexuality more easily when there are no children in the audience. Families are fragmented and segmented enough in our crazy lives. An hour in worship is something that the entire family can do together. If the whole family experiences the same worship service, they can all talk about the same thing on the way home. Some parts of a service change each week, but the repeated parts (which may seem boring to adults sometimes) like the Lord’s Prayer and the Apostles’ Creed and liturgical songs give children an early opportunity to memorize things that will anchor their souls for the rest of their lives. People who have no kids or whose kids are grown love to be around yours. Your children in church will bring far more joy than stress. Knowing that I am speaking each Sunday not only to adults but to children compels me to keep at least part of my message simple and plain. The adults appreciate that too. So please be prepared to hear occasional toddler screams in the background on Time of Grace.